New York Yankees star Alex Rodriguez made his first career World Series appearance in 2009 against the Philadelphia Phillies. 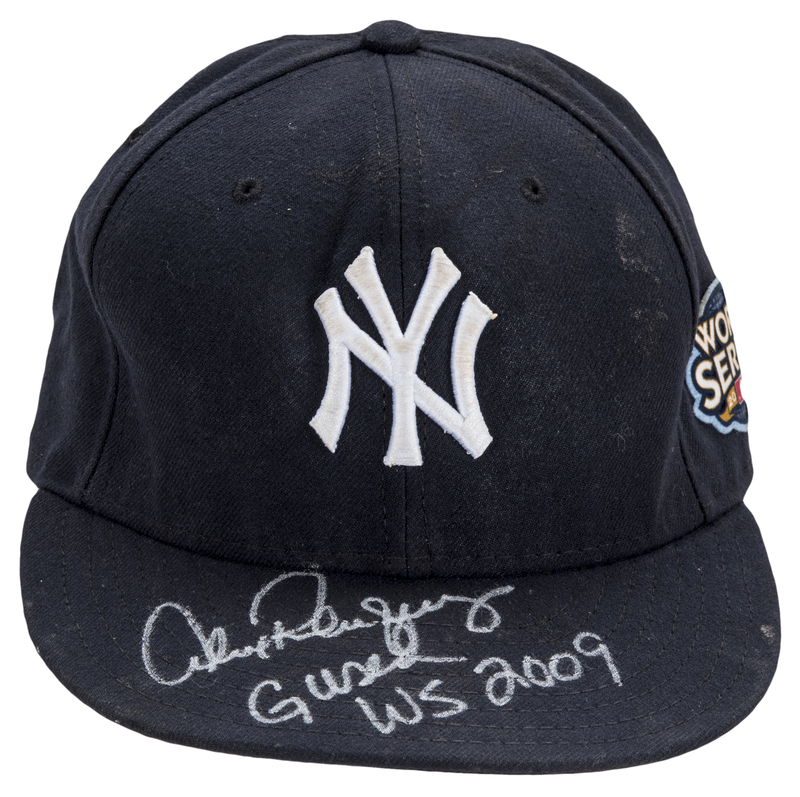 Rodriguez was integral to the Yankees success in this Fall Classic, hitting a homer with six RBI, three doubles, and five runs scored in the Yankees six-game defeat of the 2008 World Series winners. 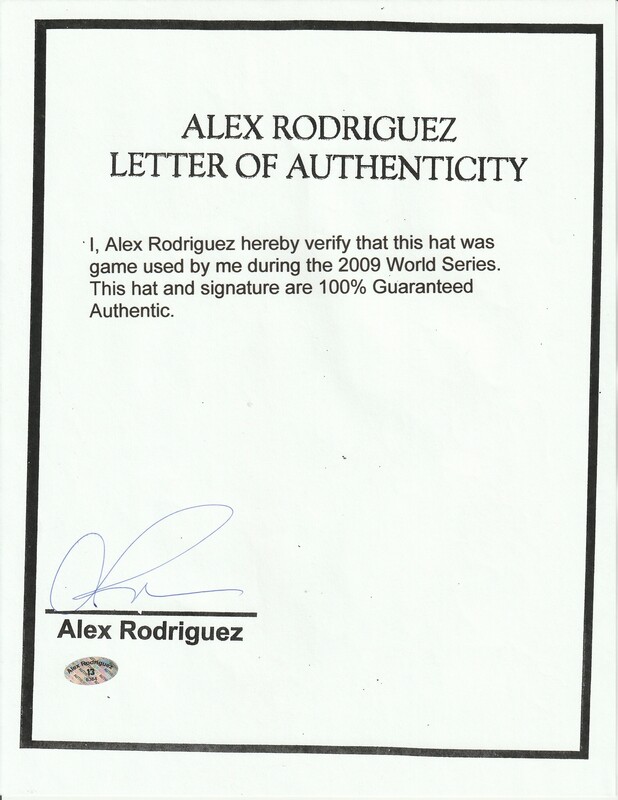 Across all three playoff series, Rodriguez hit .365 with six homers and 18 runs batted in. 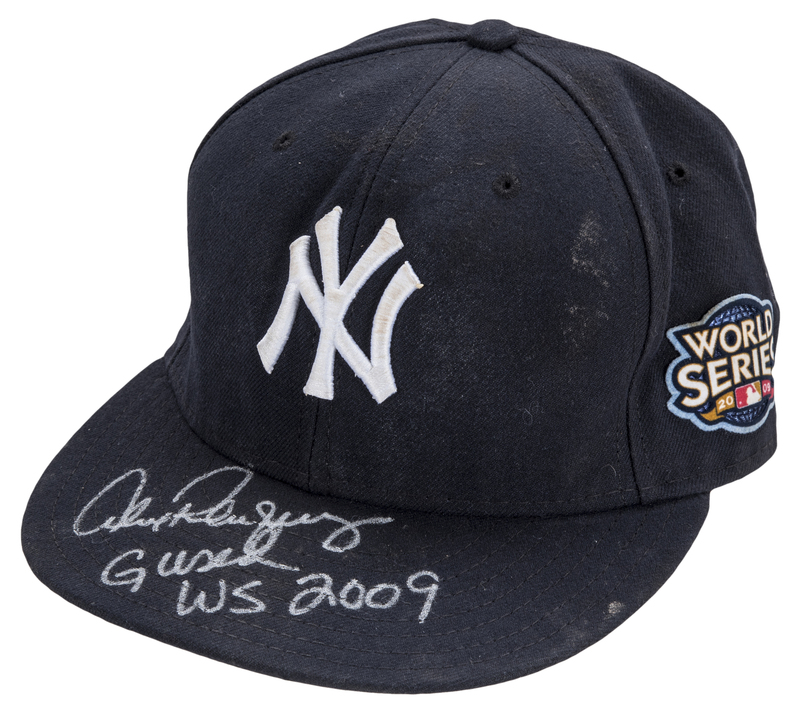 Offered in this lot is Rodriguez’s navy New York Yankees cap worn during the 2009 World Series, including during the clinching Game 6. The cap has the Yankees interlocking “NY” logo embroidered in white on the front, while a 2009 World Series patch is affixed to the side of the hat and a 2009 Yankee Stadium Inaugural Season patch is applied to the back of the hat. 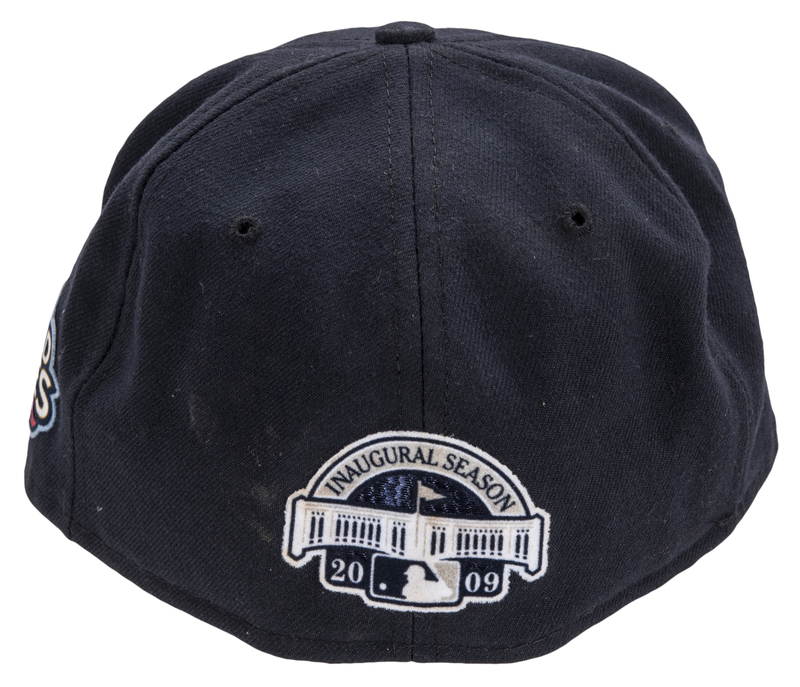 MLB Authentic Collection, New Era, and size “7 ¼” tags are located in the sweatband. 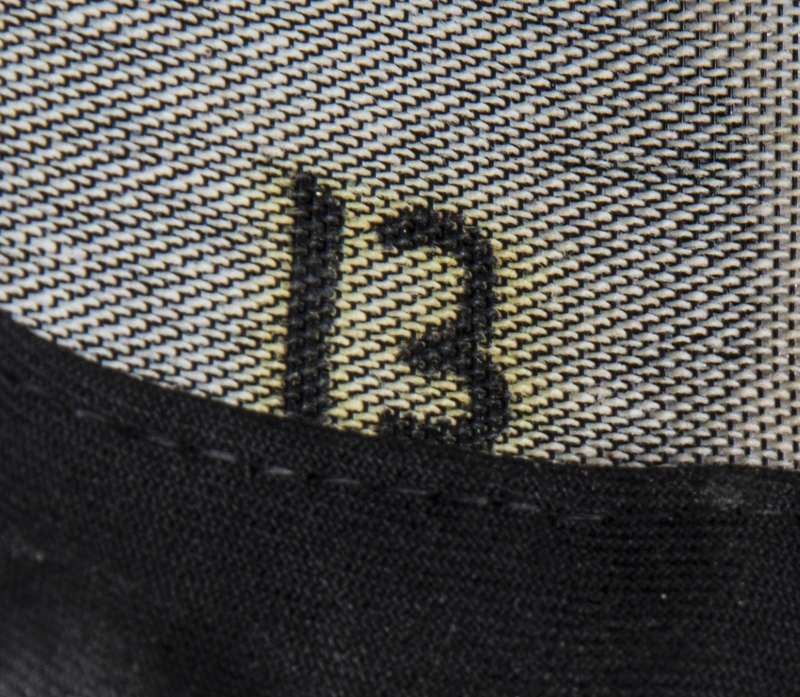 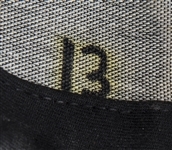 Rodriguez’s number “13” is hand-written in black marker on the inside of this cap. 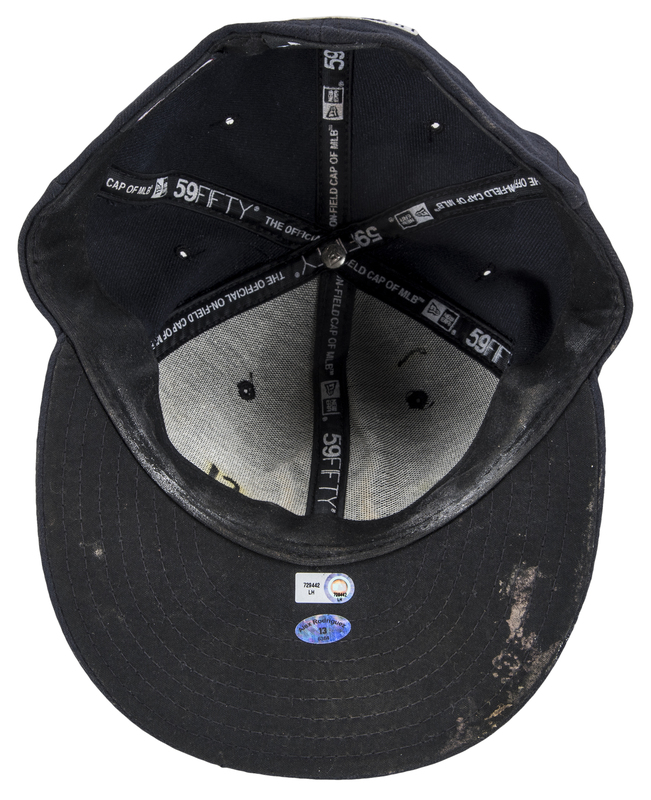 The underside of the brim features a dirt stain. 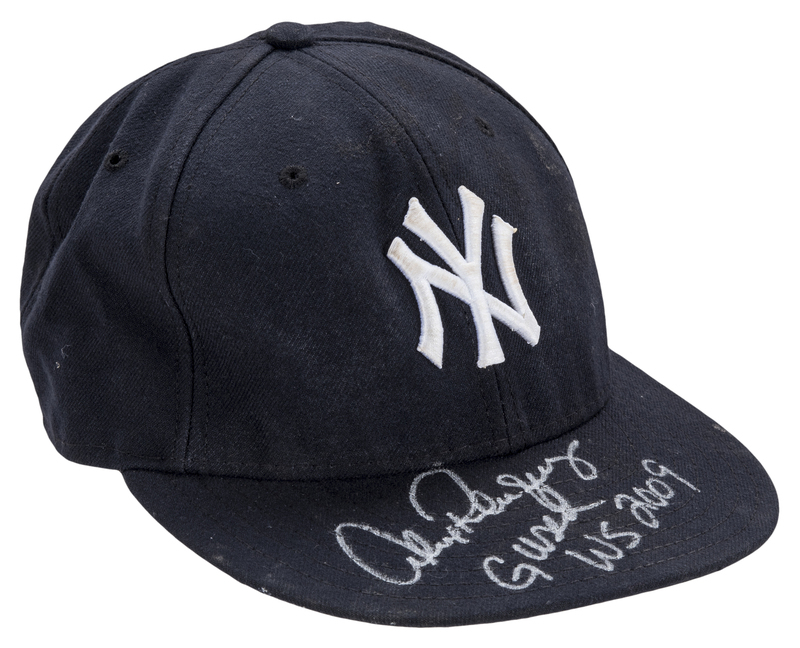 Rodriguez has signed the top of the brim in silver marker, inscribing “G Used WS 2009” in addition to his signature. 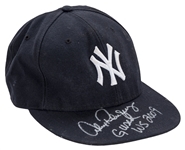 This cap comes with a LOA signed by Alex Rodriguez and an MLB Authenticated hologram (LH 729442).